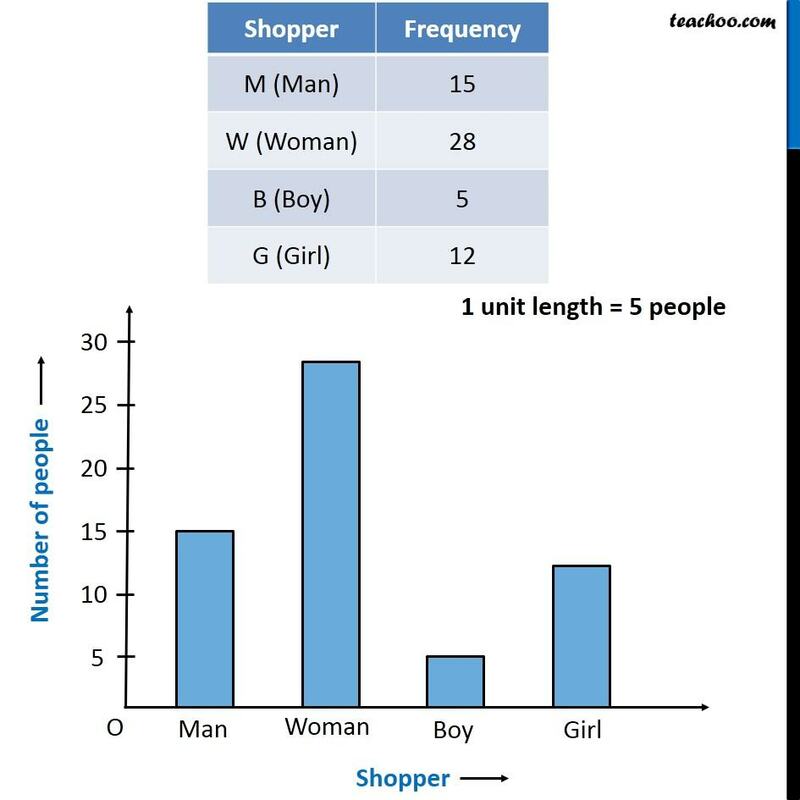 Ex 5.1, 2 The shoppers who come to a departmental store are marked as: man (M), woman (W), boy (B) or girl (G). 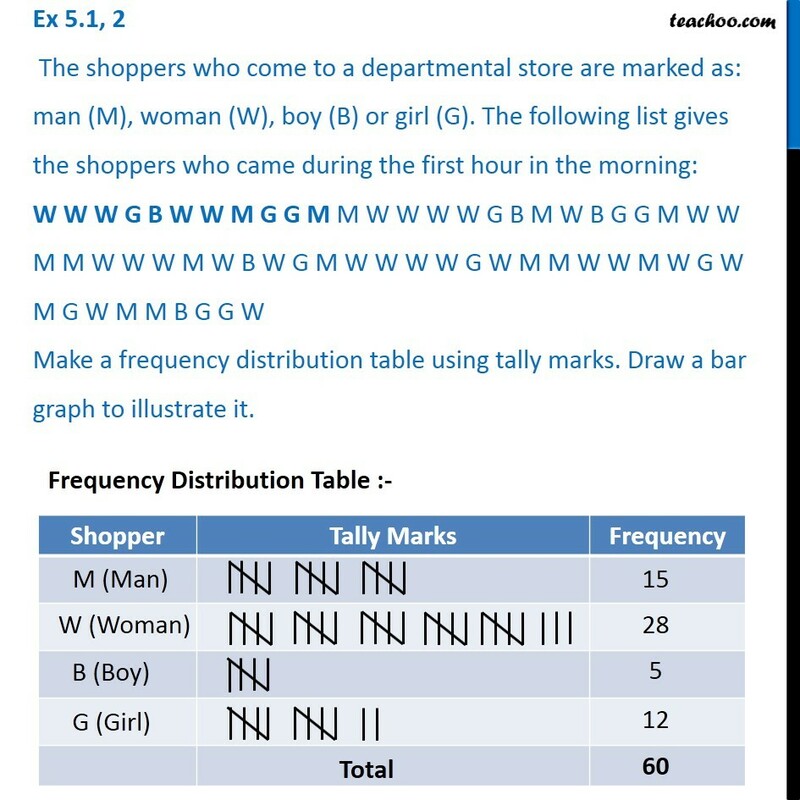 The following list gives the shoppers who came during the first hour in the morning: W W W G B W W M G G M M W W W W G B M W B G G M W W M M W W W M W B W G M W W W W G W M M W W M W G W M G W M M B G G W Make a frequency distribution table using tally marks. Draw a bar graph to illustrate it.